A brand-new adapter cable allowing the use of a standard PC ATX power supply to power the GVP Amiga external hard disk drive units used on the Amiga A500 and A500+. 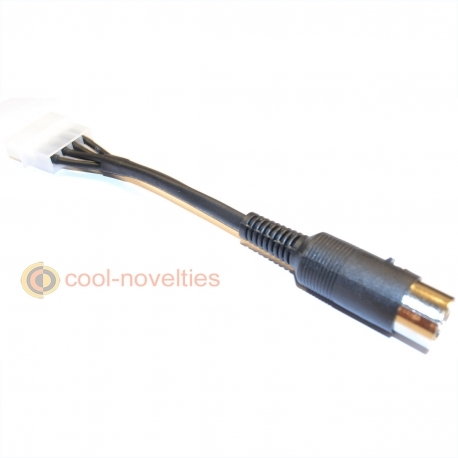 Original power supplies are hard to find, this cable will allow you to interface with a standard PC ATX power supply. 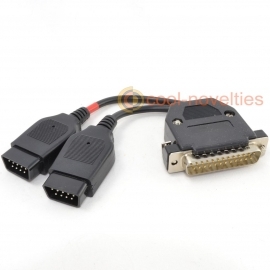 Simply connect the 4 pin Molex socket to one of the available power plugs on the PSU and the other end to your GVP 5 pin power input. Perfect for replacing a damaged or faulty original GVP power supply.